Total Running Time: 1 minute 4 seconds. The brainchild of astrophysicist/Peace Corps veteran/avid cyclist Robert Grover, Cycle the Americas was an ambitious bicycling adventure designed to open a door into the worlds of the people living in the Americas. 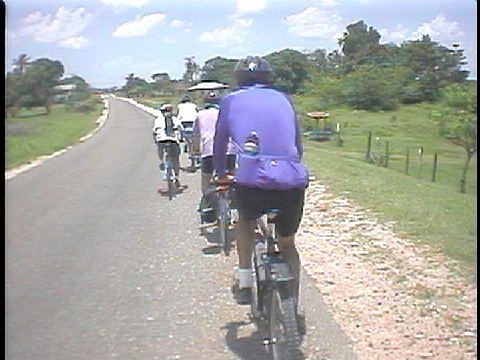 By combining the ever-improving information technologies of the internet and the popularity of reality-based entertainment, the participants of Cycle the Americas hoped to foster a greater awareness of the varied cultures and societies of North, Central, and South America by making intimate contact while bicycling across the continents. This short video clip provides a brief glimpse into a preliminary “test” trip made through Mexico and Belize.